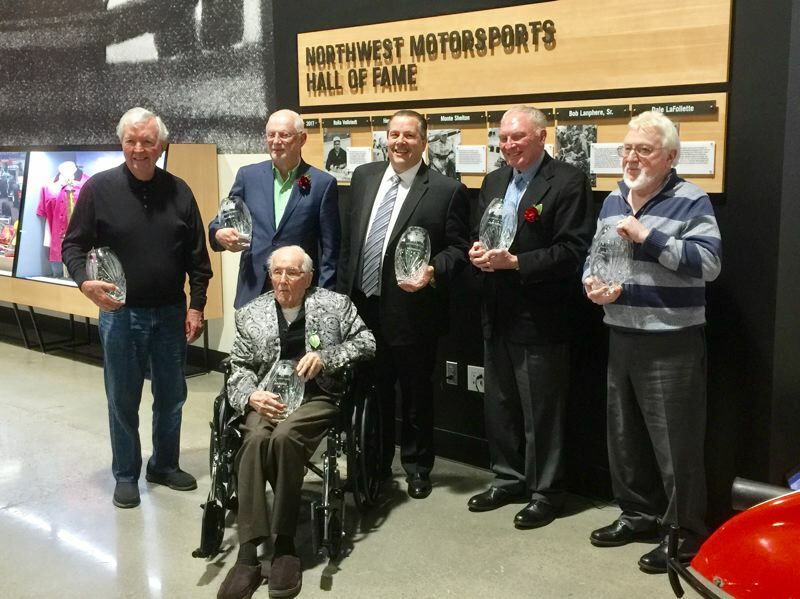 Vollstedt was honored earlier this year as a charter inductee in the Northwest Motorsports Hall of Fame at the World of Speed Museum in Wilsonville. Pioneering Indy Car builder and World War II veteran Rolla Vollstedt was born on September 8, 1918, and passed away on October 22 of this year. In the 99 years between those dates, Vollstedt made his mark on the world of auto racing and the world at large. Vollstedt was born in Alberta, but was raised in Portland. As a youth, he attended Benson Polytechnic High School and graduated in 1936. He attended Reed College for three years while working for the Frank Costanzo Speed Shop, honing his skills with hot rods and performance cars. "We used to go out to the far side of Parkrose, because there was nothing there. We would race on Sandy Boulevard, or on Halsey," Vollstedt recalled in a 2005 interview with the Portland Tribune. Vollstedt was drafted into the Army in September of 1942. His military service included the assault on Normandy on D-Day, June 6, 1944. Vollstedt was later wounded in action and received the Purple Heart. After the war, Vollstedt returned to Portland and discovered auto racing at Portland Speedway. He collected his first wins in a modified Ford Model T roadster driven by his new friend Len Sutton. Racing at the speedway, Vollstedt met lifelong friends including George "Pop" Koch, Ernie Koch, John Feuz, Don Robison, and others. Vollstedt and his friends made their way to the highest levels of auto racing in America over the next 40 years. "I got involved in late 1947, and we raced every Friday night," Vollstedt recalled. "We were eminently successful. It was rare that we didn't win the main event. That got me hooked." 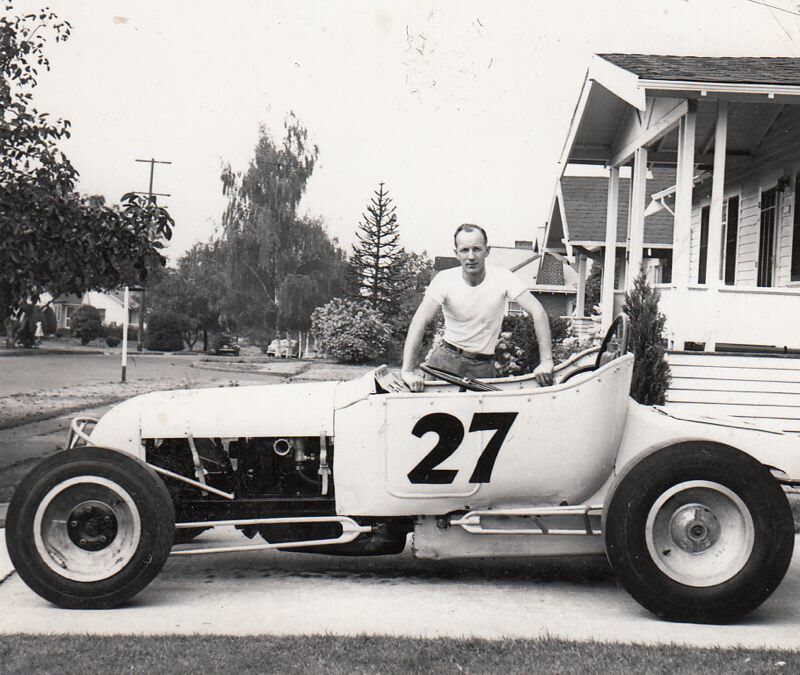 While working at a lumber wholesaler in the 1950s, Vollstedt turned his skills to building race cars. 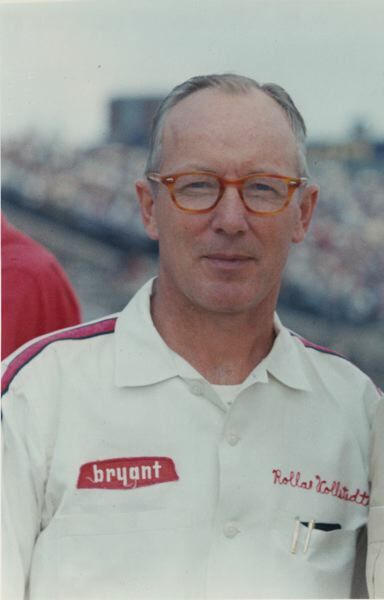 His team raced in the USAC series for Sprint cars and front-engined Championship cars of the type raced at Indianapolis. Vollstedt attended the 1950 Indianapolis 500 and the experience stuck with him. In the early 1960s, Vollstedt joined the rear-engine revolution and built his first car for the Indy 500. "I built my first two Indy cars in the basement of my house," Vollstedt said. "My wife accused me of designing the shop and building the house around it." Starting in 1964, Vollstedt entered at least one car in the Indianapolis 500 each year until 1984. His drivers included Len Sutton, Billy Foster, Cale Yarborough, Gordon Johncock, Emmerson Fittipaldi, and Janet Guthrie. Vollstedt made history when he hired Guthrie as she became the first woman to qualify for the Indianapolis 500 in 1977. Vollstedt frequently noted that race as the high point in his career. "Rolla was thoughtful, thorough, smart, and passionate about the sport," Guthrie said. "He will always have my admiration and respect." Vollstedt has been honored with a number of awards, including the Louis Meyer Award at Indianapolis Motor Speedway. He is a member of the State of Oregon Hall of Fame, and the Golden Wheels Hall of Fame. Most recently, Vollstedt was honored earlier this year as a charter inductee in the Northwest Motorsports Hall of Fame at the World of Speed Museum in Wilsonville. Vollstedt was on hand for the ceremony, which also honored fellow inductees Hershel McGriff, Dale LaFollette, Monte Shelton, Jack Coonrod, and Bob Lanphere, Sr.
Vollstedt married his wife Irene in 1946. They raised two sons, Kurt and Bruce, who live in Portland. Irene passed away in 2010. "He was a great dad," his son Bruce said. "I'm going to miss him a lot."